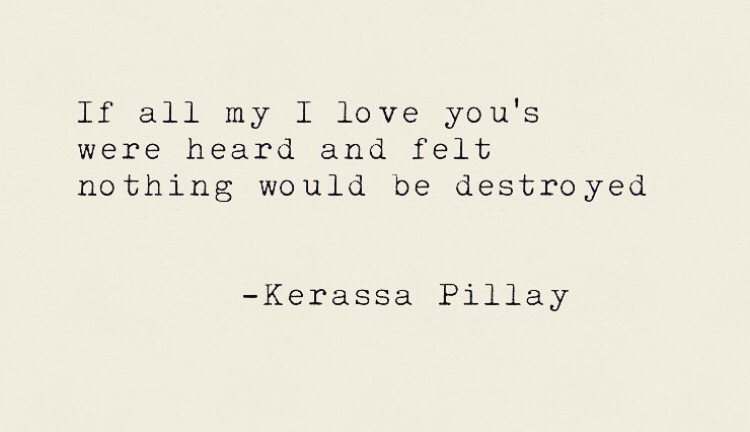 My name is Kerassa Pillay. Born & raised in South Africa. I always find it hard writing about myself, and I guess through the years, growing and learning, one learns self-love and acceptance. 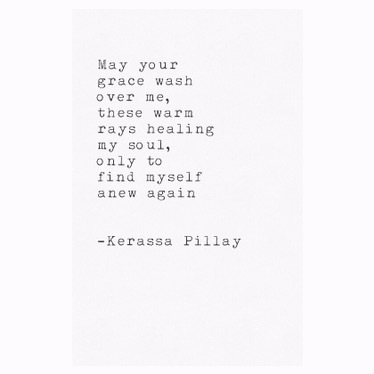 I’ve only begun posting my writing on Instagram for the past year. I remember, being much younger and scribbling words whenever I had too many thoughts overflowing. Having gone through many ups and downs in life, becoming a single mum and the challenges that come with trying to adult, and still be a cool mum, had me turn to writing again. Managing through life’s battles through the tears and the smiles, makes for one trying to be a strong human. I love the support from the writing community of friends I’ve made, from all over the world, hoping to inspire more humans. Thank you for joining us here at http://www.authenticiteespeaks.com and stopping by the #WriterCrushWednesday series Kerassa!! 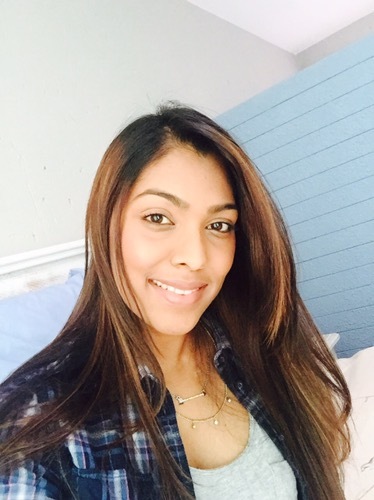 Poetry, bio and photos included in this piece are the exclusive property of KERASSA PILLAY. No copyright infringement intended.